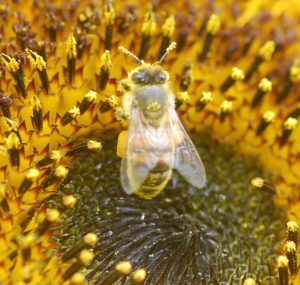 You are here: Home > Blog > Flora & Fauna > A different perspective on the honey bee – Apis mellifera. This has lead to a number of initiatives such as the promotion of bee keeping, more hives in towns and cities; all focused on arresting the decline in honey bees numbers. However, the authors' point out there are important pollinators other than honey bees. In fact, there are some 20,000+ species of bee worldwide, not to mention many species of butterfly, bat and bird that all contribute to pollination services. There is concern that the unnaturally high densities of honey bees (associated with orchard pollination, honey making etc) can amplify the declines seen in other pollinator populations. As the blog has reported there has been a significant drop in insect numbers over the last thirty years. This ‘depressing’ effect is not only true in ‘introduced areas’ but also in the honey bee’s natural range such as Europe - where managed honey bees have depressed the densities of natural pollinators near to hives both in natural habitats and in crop fields. Furthermore, when crops have finished flowering ‘en masse’ - the bees forage and spread out further providing more competition with the wild pollinators. 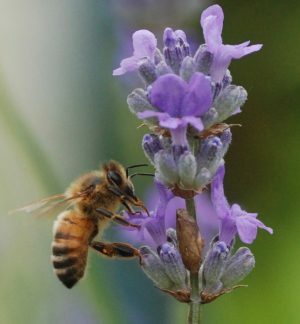 There is also the potential to spread disease to wild populations of bees - this is particularly true when the hives / colonies are moved around to pollinate different crops (as happens on an ‘industrial’ scale in the United States - the honey bees may be almond groves in Spring, and taken to apple orchards in late Summer). 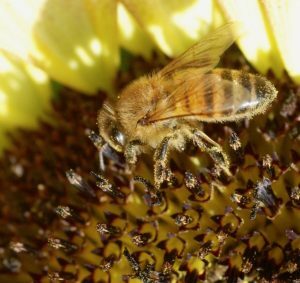 In areas like Brazil, the introduced honey bee has had effects on non-pollinator species. For example, the honey bee competes for nest sites in rock cavities with a threatened parrot species (Lear’s Macaw - which has a significant role in the dispersal of seeds). 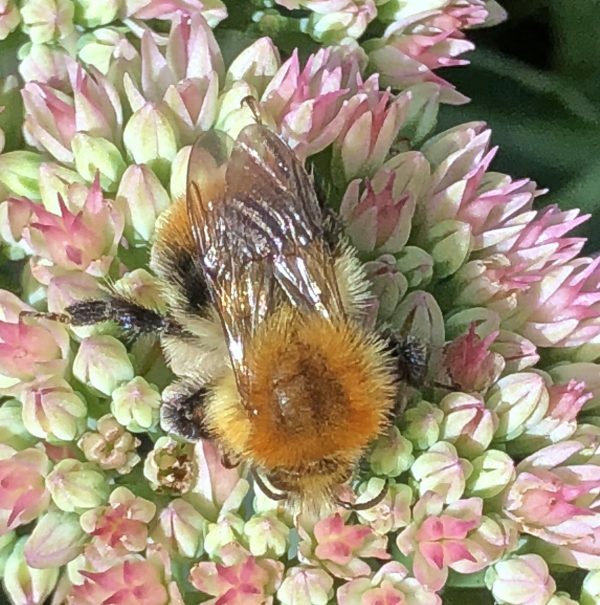 The authors acknowledge that the honey bee is an important ‘agricultural tool’ and that strategies such as the banning of the neonicotinoids will also assist the survival of native pollinators (which may account for 50% of the needed pollination services). They suggest that management strategies are needed to match the number of honey bees to the habitat - natural or agricultural, and to the availability / timing of floral resources in the crops - as half of all European bee species are threatened with extinction. Managed honey bee hives should not be placed in protected areas - as this is where they will do the greatest damage to the populations of wild pollinators. Their parting words are “ beekeeping is an agrarian activity and should not be confused with wildlife conservation”. We are beekeepers, and yet there is some truth in this article- there are a lot of vitally-essential other pollinators, and biodiversity is in short supply these days: Education is the thing, but the production of honey for human consumption is not going to go away…better to accommodate the concept of encouraging habit variety for all wildlife- but there is a long way to go on that, and not enough time left for education to take effect before global ecological disasters ensue. Where I live, there isn’t much example by residents of habitat knowledge, and preference is given over to concrete and-cars. The national schools curriculum doesn’t do enough ecology; except interference by “pond-dipping”; an invasive and non-productive way for respect for wildlife and awareness.